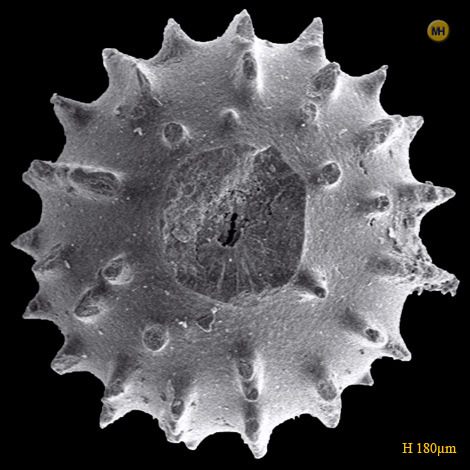 Hayward, B W. et al., 2012: The last global extinction (Mid-Pleistocene) of deep-sea benthic foraminifera (Chrysalogoniidae, Ellipsoidinidae, Glandulonodosariidae, Plectofrondiculariidae, Pleursostomellidae, Stilostomellidae), their Late Cretaceous-Cenozoic history and taxonomy. in Cushman Foundation for Foraminiferal Research Special Publication No. 43 408 pp. Plate , Fig.